Norwegian carrier Widerøe has welcomed the inaugural flight of an electric two-seater plane, in what the airline hopes will be the first step toward a viable passenger operation. The plane, made by Slovenian manufacturer Pipistrel, took off from Oslo Airport with Norwegian transport minister Ketil Solvik-Olsen onboard. Although the aircraft can only fly for an hour, Widerøe argues the short test flight will demonstrate the feasibility of pollution-free aviation. As Widerøe chief executive, Stein Nilsen, explains: “This is a small Aircraft but hopefully another step in the direction of a zero emissions technology in aviation. Widerøe is currently a local airline that operates small planes on short-haul flights. It carries 2.8 million passengers each year on a fleet of Bombardier Dash-8 planes. However, the carrier wants to replace its entire fleet with new technology by 2030, hopefully in the form of electric aircraft. “Today, we fly the smallest aircraft on the shortest routes, based on an aging technology that was developed in the 1970s,” continues, Nilsen. “There has been much development in the aviation sector, but not on the smallest aircraft. “We are looking for a concept that gives zero emissions and lower operating costs. “If we can find what we are looking for, we will be able to further develop the valuable public transport system we have built up in Norway over decades. Widerøe currently operates more than 400 daily departures, accounting for almost half of the domestic daily departures in Norway. Every second minute, a Widerøe aircraft is taking off or landing in the country. To many, the carrier is seen as public transport to the more remote parts of Norway. Widerøe is also charged with public service obligations by the Norwegian government. Nilsen adds: “The Norwegian Public Service Obligation network is very special. “Arctic coastal climate with alternating winds and demanding ice conditions gives challenging flight operative conditions. “This combined with steep approach and short runways poses very special challenges along the Norwegian coast. “There are not many similar airline route areas in the world with regular commercial flights. Technological change is forcing Widerøe to seek out new methods of transport, with electric-powered planes now at the forefront of their ambitions. At present, the Widerøes Dash 8 is a familiar sight at Norwegian airports, but this is starting to change. Nilsen continues: “The Bombardier Dash-8-100/200 is the perfect aircraft to fly the Norwegian short haul network. “Widerøe, together with Bombardier, has developed a number of modifications on the aircraft that make it particularly suitable for steep approaches and landing on short snow-capped runways. “Unfortunately, however, the aircraft is no longer manufactured, nor is there any other suitable aircraft available with similar features. “Our fleet is about to pass its lifetime, but we have developed a lifetime extension program that allows us to fly Dash-8 up beyond 2030. “Widerøe needs to find a new aircraft type for the short-haul network before 2030. However, there are many challenges to overcome before an electric aircraft might take to the skies on a commercial basis. Nilsen points to the need for updated regulations, new infrastructure, engine technology and batteries as some of the issues, as well as developments in materials to allow lower weight planes. “We could also offer opportunities for improved accessibility in the most rural parts Norway. “We see many projects on aircraft powered by electric motors around the world. “So far, most projects are research and development projects that are far from being ready for commercial use. “As soon as an aircraft is certified by the authorities, we know it delivers on the high safety and operational standards set to operate in our areas. 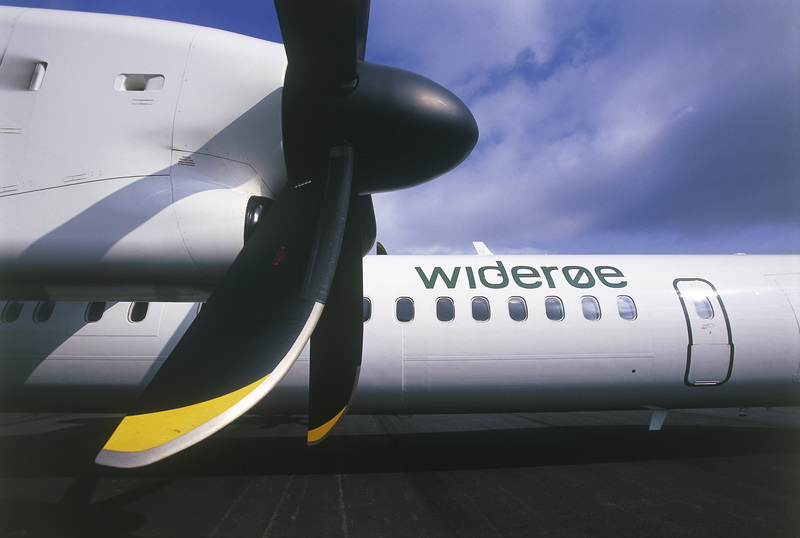 Widerøe is the largest regional airline in Scandinavia, with a staff of 3,000. The company carries around 2.8 million passengers annually and flies to 46 domestic and international destinations. Widerøe operates more than 450 flights every day and operates to more than twice as many airports in Norway than any other airline.